Irish beef will be back on the menu in Iran shortly, an Oireachtas committee heard today. THE IRANIAN MARKET will soon reopen for Irish beef, it was revealed today. Ambassador of Iran Hossein Panahaziar confirmed the move to an Oireachtas committee on foreign affairs and trade at Leinster House this afternoon. 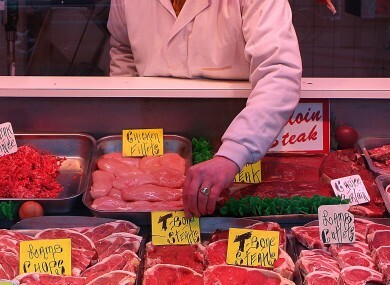 A ban on Irish beef products has been in place since March 1996. Before Ireland was hit by the BSE crisis, the Iranian export market was worth about €40 million to the economy. Talks have been ongoing with authorities in Tehran since the late 1990s but the market has remained closed to beef. Committee chairman Pat Breen welcomed today’s indication that the longstanding ban will be lifted. Last March, Agriculture Minister Simon Coveney said his department engaged with official veterinarians from Iran to demonstrate the quality and safety of Ireland’s meat control systems. Email “Iran to lift ban on Irish beef”. Feedback on “Iran to lift ban on Irish beef”.